While visiting a Czech friend she suggested we take a vintage steam train to Krivoklat Castle to see the Christmas market. The evening before freezing rain struck. 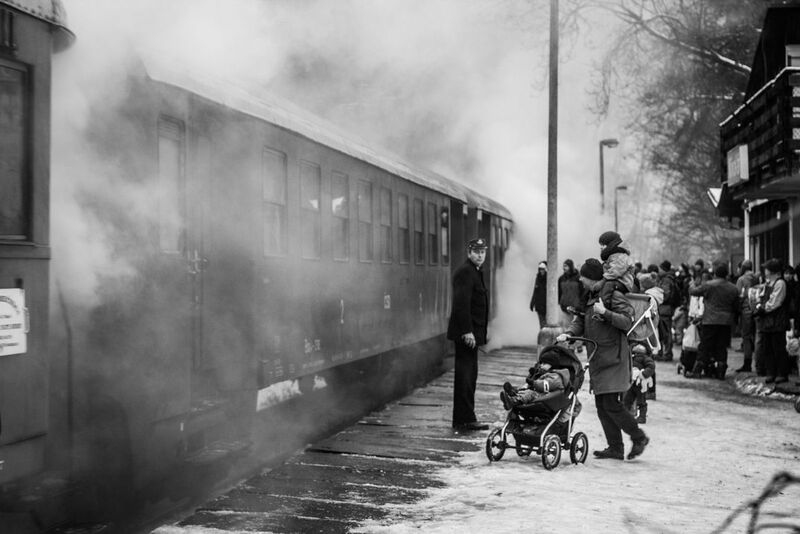 This is a photo from Krivoklat station taken through steam from the waiting train.